The Masked Singer had its finale and the top three celebrity contestants were (finally!) revealed: Gladys Knight, Donny Osmond, and T-Pain. This is not the first time a competition has used anonymity and blocked out the senses to help contestants have a “fair” shot. NBC’s The Voice has some obvious similarities. So, what makes The Masked Singer different, and what is the lesson every business should be gleaning from the show? Let me start by introducing how the brain works and how The Masked Singer used these concepts to its advantage. The human brain is quick to judge – the subconscious constantly scans its environment for information (approximately 11 million bits per second). There is a lot of content to sort through, including preconceived notions and what is actually in front of you. This is used to create judgements and biases. A great example of this (to keep with the singing theme) is Susan Boyle from Britain’s Got Talent in 2009. Susan was by no means a model (articles about her after the airing called her the “Scottish spinster” and “Simple Susan”). So, when she walked out and declared her vocal ambitions, the audience and judges rolled their eyes and laughed. Here is the real question – why do we think singing ability is related to looks? Truly, these things are not at all related. There are countless beautiful people around the world who couldn’t sing their way out of a paper bag. So why do we make this association? It is known as the Halo Effect. Our brains use this rule of thumb all the time to help group information together and make sense of our surroundings. Often it is useful, but sometimes it does a disservice. 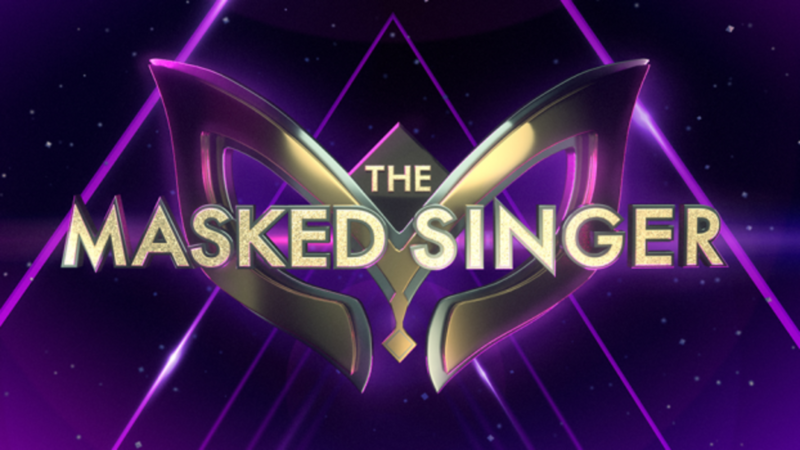 At one point or another, every contestant on The Masked Singer said something about the benefit of the anonymity and getting out from behind a stigma. We tend to look at celebrities and think they could get or do anything they want. But then, why would they need a show like this? Why in the world would Gladys Knight want to participate in a singing contest dressed in a crazy bee costume that she can barely see out of? What could the benefit possibly be? It is about breaking free of the preconceived notions about who she is as a singer and person. If the younger generation has heard of hear, they would likely make a snap judgement that she is outdated and create a Confirmation Bias to support their first belief. It was the same story over and over again, from Donny Osmond, Rumer Willis, Joey Fatone, La Toya Jackson, Tori Spelling, and of course, T-Pain. These people have won Grammys, Emmys, have stars on the walk of fame, and are household names. Why couldn’t they simply walk into a recording studio and say, “I’m ready for my album”? They can certainly afford it, so it isn’t about money. So why wouldn’t they have gotten backing or funding? The preconceived notions and biases could only be lifted by hiding behind a mask – or in this case a ridiculous blue fluffy monster suit. By removing the visual cues of seeing the person we are forced to listen to their stories and relate to them on a more human level. As a herding species, we love to be part of the group and naturally relate to stories when we hear them. Having disguised voices saying they “grew up feeling judged” or being told they were “tone deaf” or that they could “never be a singer” are things we can relate to and we naturally like them more. We rally behind them and want them to succeed – and can truly listen to the vocals without our judgy brains getting in the way. The mask allowed for it to be truly about the voice and performance, but the show’s power was also in its creation of dopamine in the brains of the audience. Our brains love dopamine, and anticipation combined with unpredictability has been shown to significantly increase its release. Each of those celebrities had a personal brand they needed to get away from to prove their singing chops from behind a mask. What stigmas are there about your brand (good or bad)? Are there any you want to get away from but feel trapped by? Perhaps customers see you as outdated, a one-trick pony, or unable to be innovative. What could you do to take the preconceived biases out of the equation and help them to see (or hear or taste) how you are not what they think? The Pepsi Challenge is the most well-recognized example of this. By taking the image of the cans out of the taste-test, they showed that people preferred them over Coke. Personally, I love The Fun Theory series from Volkswagen. Or the Cadbury Gorilla – which was created after a salmonella scare and increased sales by 10%. The genius of these ads is that they draw you in before you know who is behind the ad. They remove their logo and branding from the equation so you can experience and develop an unbiased opinion. At the end, the brand is revealed. Our subconscious brains can process a lot of information. They have rules of thumb that make snap judgements and 99% of our decisions. If your brand is stuck in a rut and you need to get around that consumer bias, perhaps it is time to consider your own fluffy blue monster suit. | Tagged anticipation, behavioral economics, behavioral science, behavioural economics, bias, branding, cadbury gorilla, confirmation bias, donny osmond the masked singer, dopamine, fox the masked singer, halo effect, herding, how the brain works, joey fatone the masked singer, judgement, la toya jackson the masked singer, rumer willis the masked singer, subconscious, t-pain the masked singer, the masked singer, tori spelling the masked singer, volkswagen fun theory, why do celebrities want to be on the masked singer?